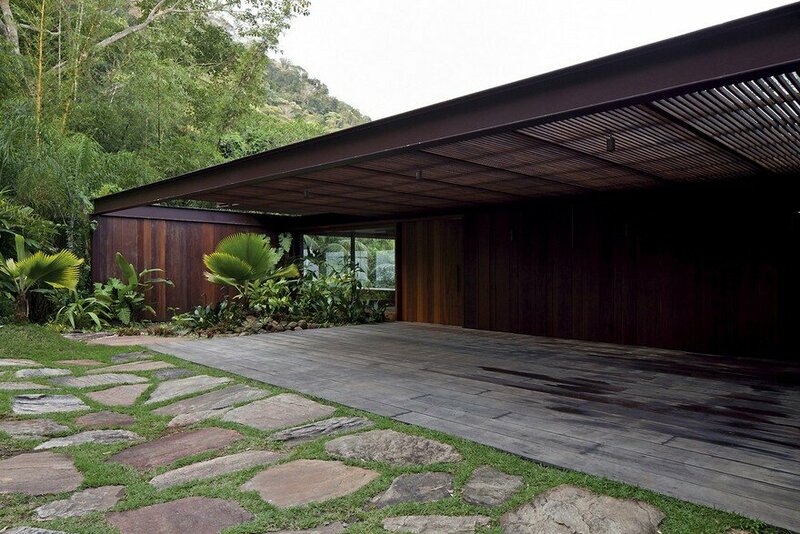 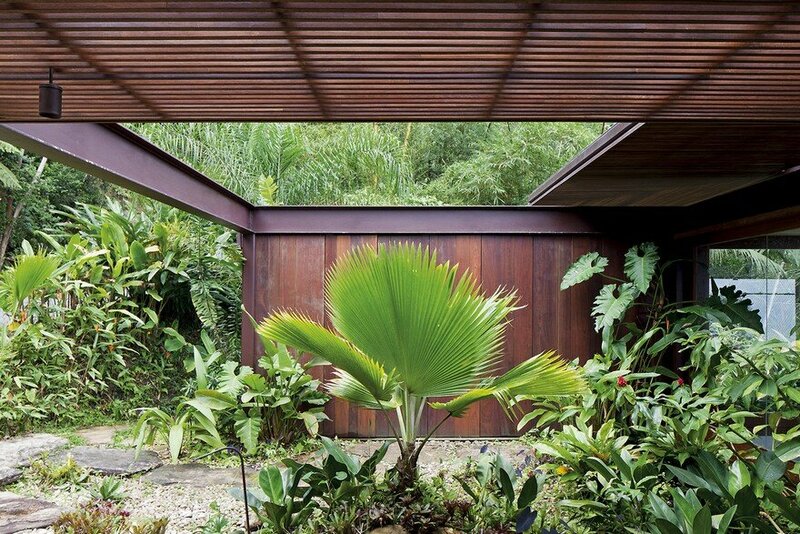 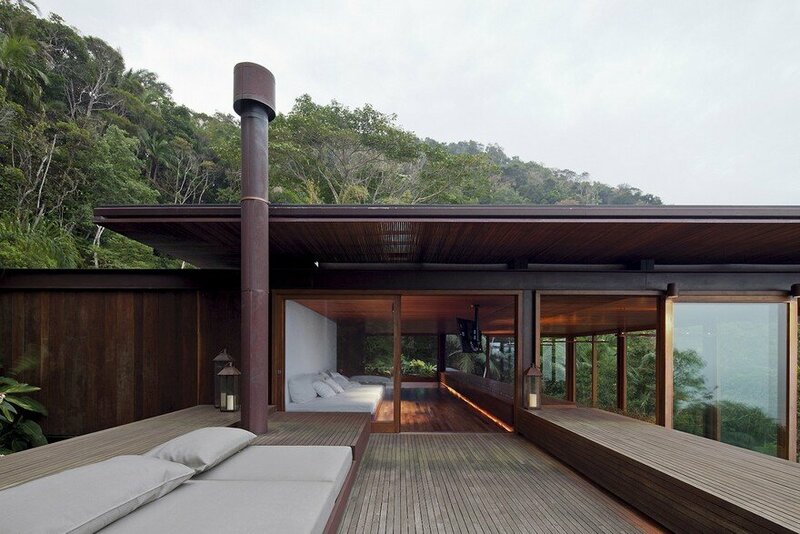 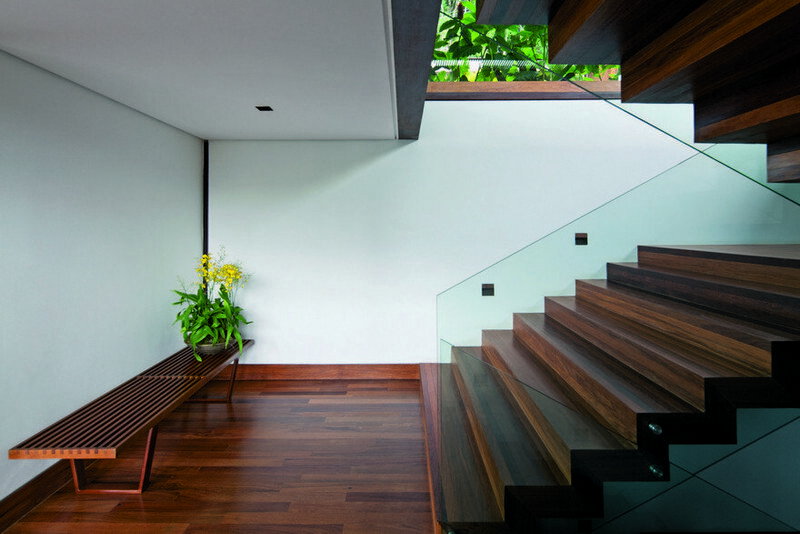 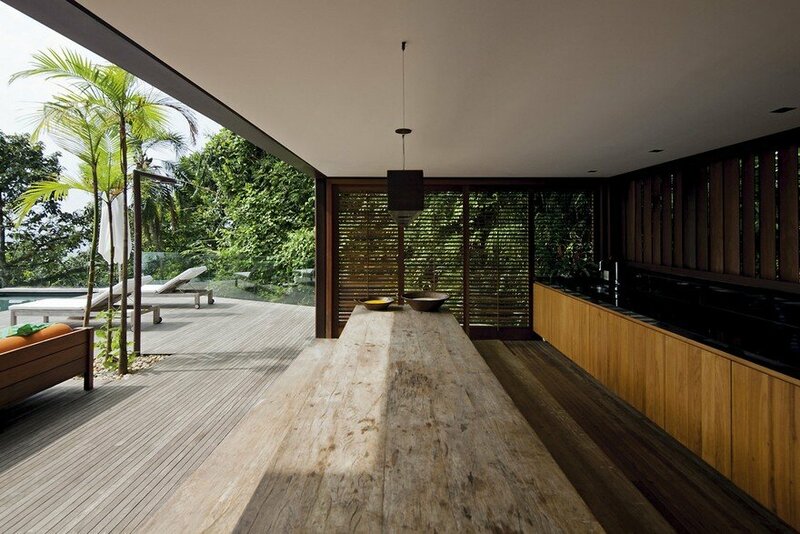 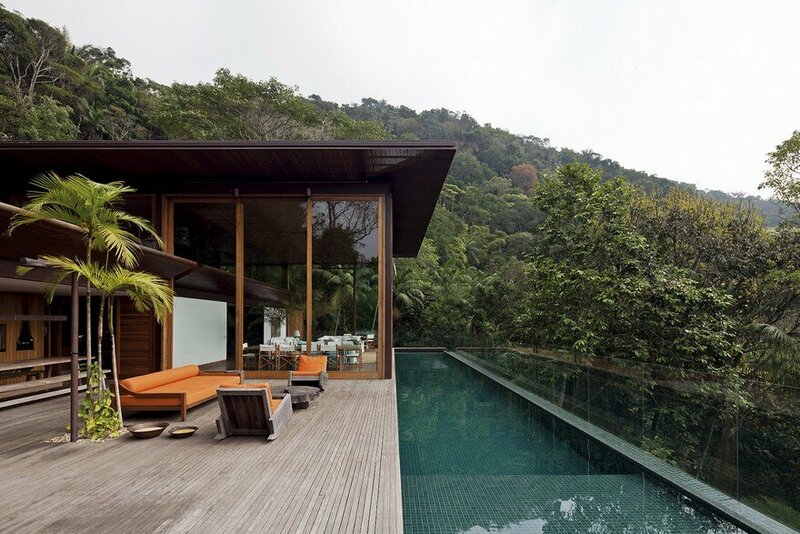 The AMB Balcony House is situated on the coast of São Paulo, Guaruja City in the middle of the Atlantic Forest. 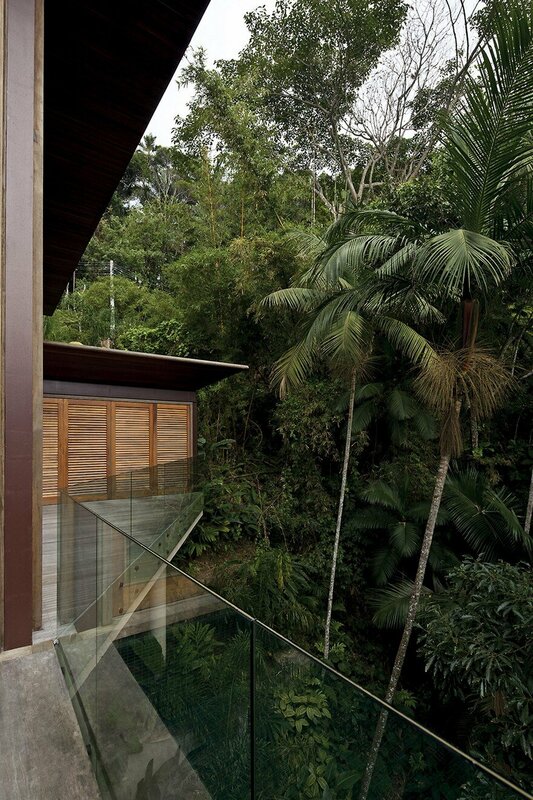 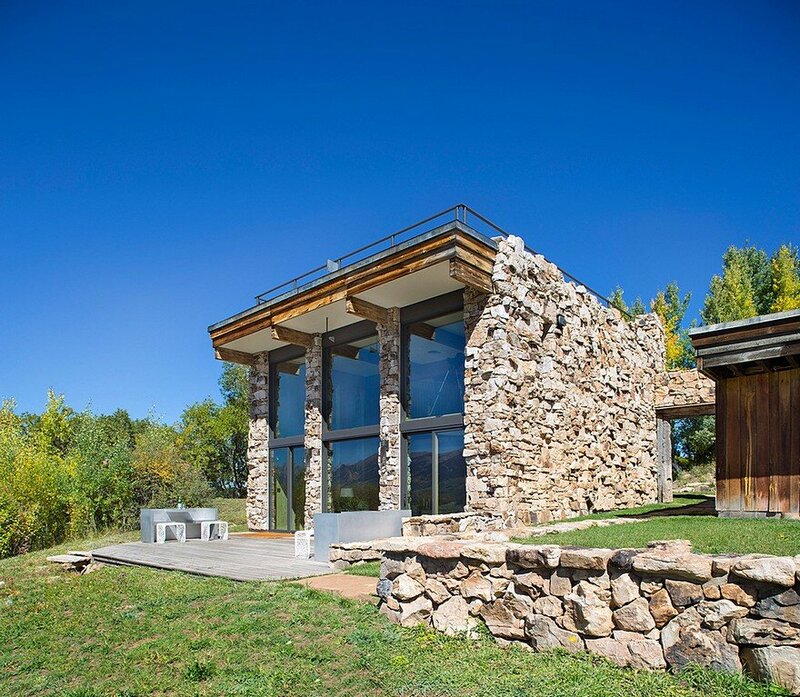 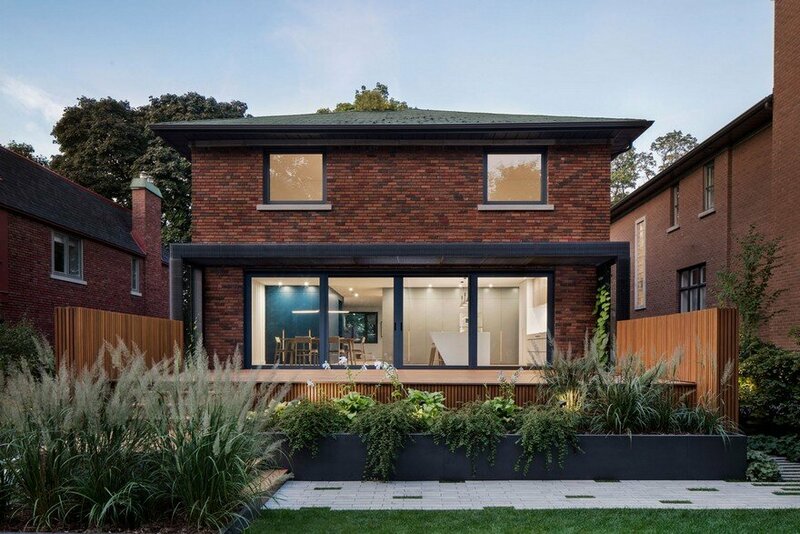 From the street you can only see one of the three floors of the house because the terrain has accentuated slopes that give different views of an almost untouched natural landscape. 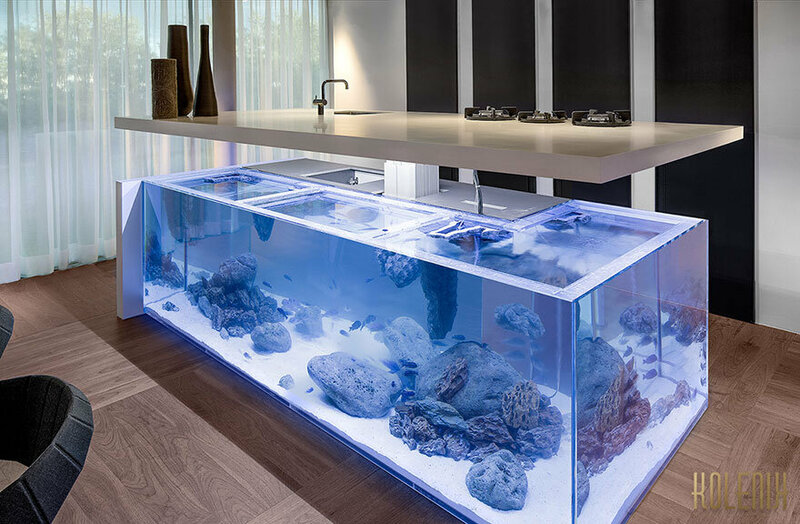 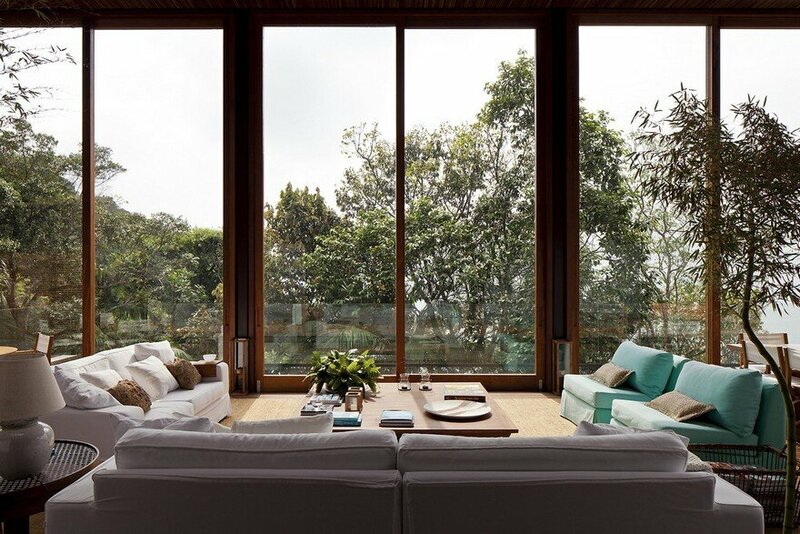 In the intermediate floor are the social areas: the living room and dining room, which join the outdoor kitchen, outdoor deck and infinity swimming pool.Downstairs is the intimate area with five suites. 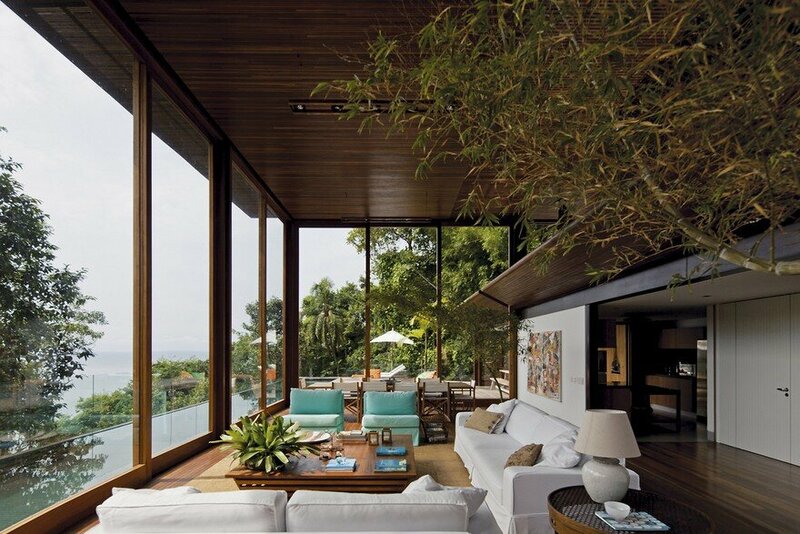 It is this strategy of reversing the usual array of social and intimate area that makes the rooms, even overlooking the sea, have the privacy afforded by the trees that are at that level. 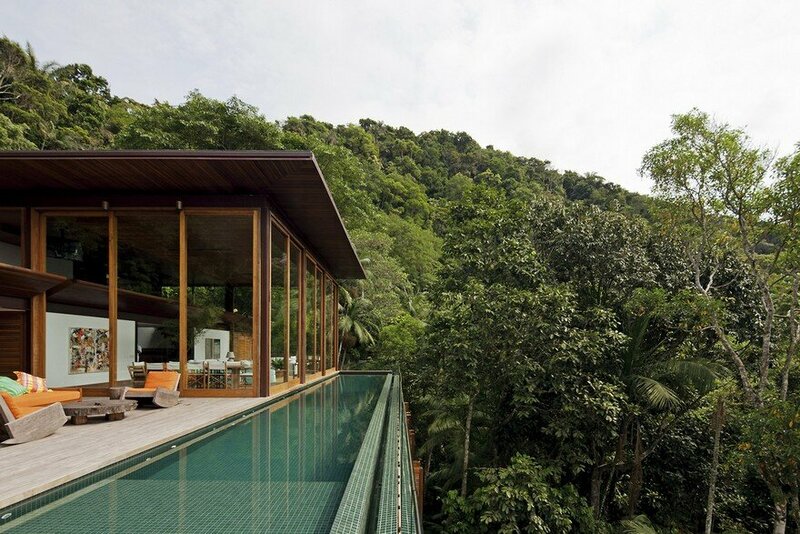 The house can be called the balcony house with large glass panels that allow visual contact with the surrounding areas of the residence and the natural landscape of the region. 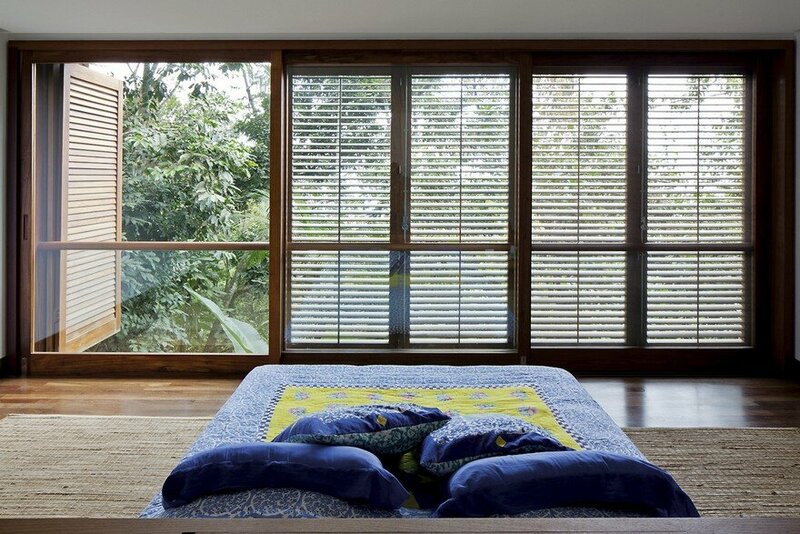 The windows of the rooms have wooden Cumarú shutters .This wood is also present on the deck of the balconies and floors of rooms. 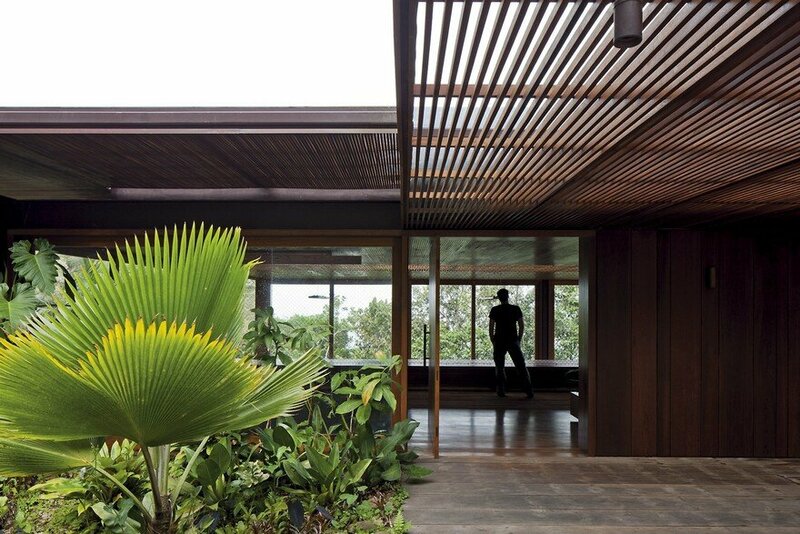 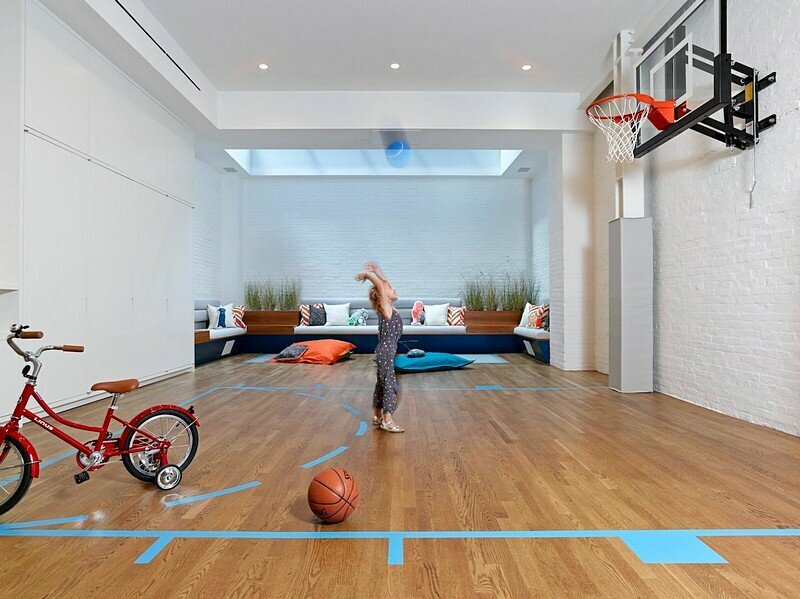 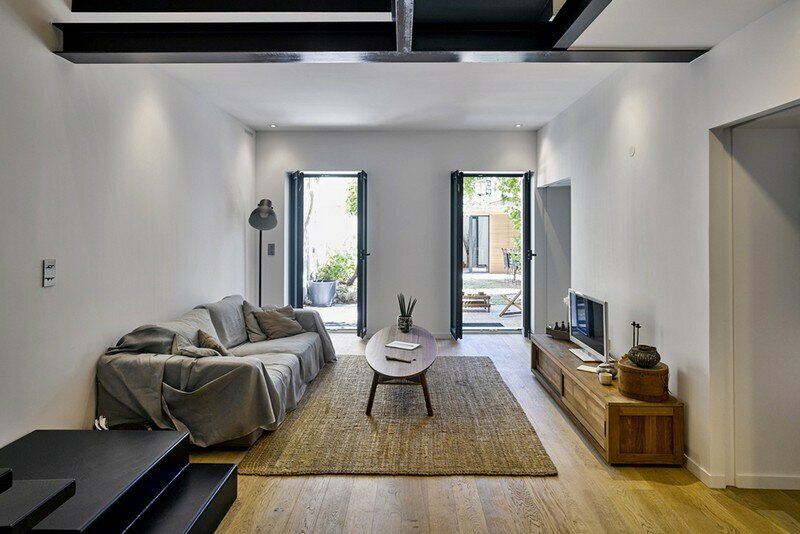 In the living room two bamboo plants sprout from the middle of the floor, bringing the forest into the house. 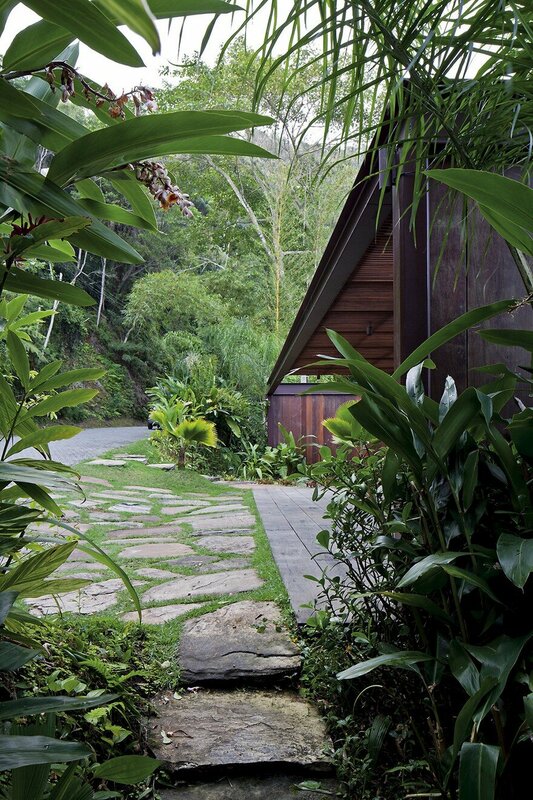 This is how the house shows its relationship with the local landscape, barely visible through the dense forest in the access road, but grows and can be seen on the other side along with the look of a coast line and a stunning tropical forest.